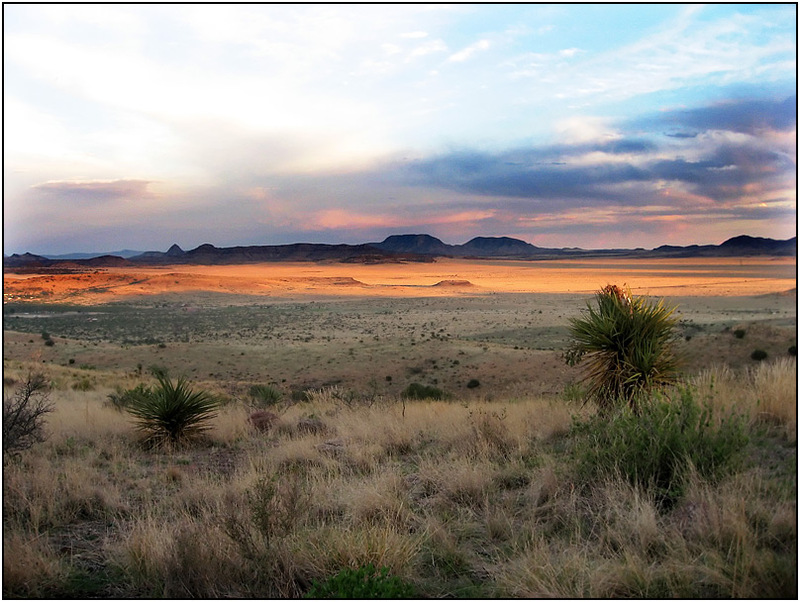 This view is from a mountain in Davis Mountains State Park, overlooking a valley near Fort Davis. It was impossible to capture the depth and grandeur of this view. In this picture it looks like it's a plain directly in front of you, but instead it's a valley below and at a distance from you. If you look carefully in the foreground you can see the edge of the drop-off.